Wow, it's finally warming up around here and I am officially wearing my flip-flops..woot! Happy Mother's Day to all the Moms out there! My peeps are taking me to a Champagne Brunch and then I plan to read! Caffeinated Confessions- Series, Trilogies and that Last Book Oh My! Brandi @ Blkosiner's Book Blog will be doing a weekly Bloglovin Follower Hop similar to Follow Fridays..go check it out! I am hosting a giveaway over at Nocturnal Book Reviews, stop by and enter to win a great paranormal romance series! Debbie @ The Reading Frenzy interviewed me, check out her awesome blog and see what I said about cabana boys! April and Pabs @ My Shelf Confessions are hosting a Wildfire Read-a-thon in June, go signup! That's my news what's new in your world? A quiet week for you. 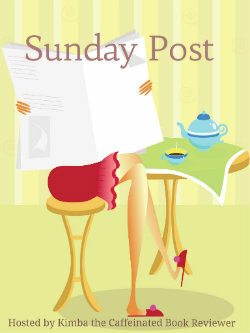 :) Enjoy your brunch and happy reading! Lovely, lovely books! I cannot wait to see your review of Big Sky Summer. Have an awesome week! ooh I am looking forward to reading that! I really dig the cover for Black Venus. Haunting! Did you enter to win a copy? I will be hosting a giveaway for it next Sunday:) Yes, I love this time of year too! Great to hear it! I'll be back to enter! Friday is my Black City review and thanks Lauren same to you! Number 2 - Such good books you are reading and different from the ordinary fare! I love it! Number 3 - You rock. There. I said it. ;) Have a great week! Number 3- You made my day! Thanks Liberty!!!! Ooo I got the Bella book too! Need to read book one soon so I can jump on that! And oh my word. Jealous over the Linda Lael one. LOVE her! Looks like you're gonna have a fun week! Yay for flip flops. It's hitting the 100's today... Yay and blah. :D Happy Mother's Day! ooh no 100 won't do 74-85 perfect! thanks April and you are welcome! Happy Mothers day Kimba! Champagne brunch sounds lovely. I can't wait for your Black City and After Dark reviews this week! 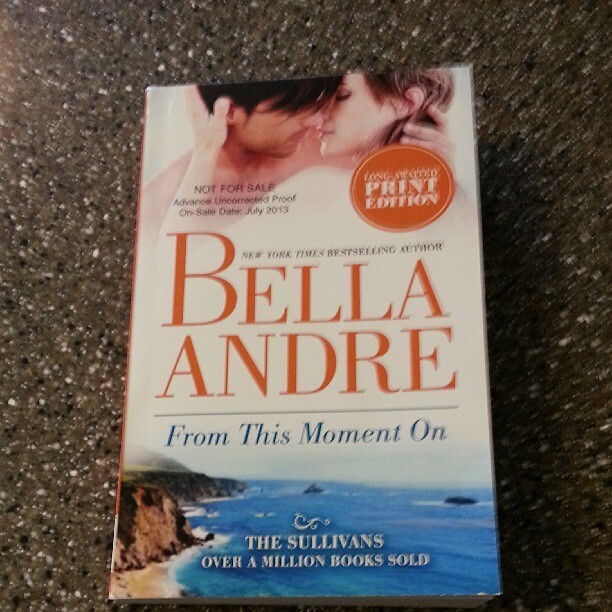 You also received some great books - I'm a big fan of Bella Andre. Thanks Sharon I am participating in the Belle Andre Summer tour.. and will be sharing three books with you. I was glad for the romances because I have a lot of horror, dystopian and mysteries coming up in my schedule and I will read one of these in-between to cleanse my palate. Enjoy your weather and have a wonderful Mother's Day! As my husband says, "Sounds like a plan!" Happy Mother's Day! A champagne brunch sounds amazing! And yay to flip flop weather!!! Champagne Brunch and time to read sounds wonderful. Happy Mother's Day! thanks Whitney, we had fun and now I need a nap, then reading and visiting all of your blogs! Happy Mother's Day! I hope you got coffee in bed this morning! :) I'm off to check-out your giveaway at Nocturnal Book Reviews now. thanks Carmel, hope you have a wonderful day too! Thanks Ana..have a wonderful day! yep, I love flip-flops and sandals woot! Have a lovely Mother's Day! Happy Mother's Day to you too Toni! TRUE AND DOWN LONDON ROAD!!! I absolutely adored True, I can't wait to see what you think Kimba! I'm dying to read Down London Road, On Dublin Street was one of my favorite reads last year. And I still need to read a Linda Lael Miller book, I've never read one. That needs to change! YAY for warmer weather! I love this time of year. Also, Lurlene McDaniel was one of my favorite authors growing up. I'm going to check that one out now! Great week! Great new books for you! Enjoy them and have a Happy Mother's Day! Sounds like you've got a nice day planned. I am excited, just waiting for the hubs to get out of the shower. My oldest and her boyfriend are driving to meet us (she is away at college) for breakfast brunch. Happy Mother's Day! Happy Mother's Day! Have a great week! thanks Yvonne, hope your day is relaxing! I enjoyed it and have a wonderful day! OOh nice haul! Those are new to me but I hope you enjoy them all! thanks Jessica I will stop by later to check out your haul! Happy Mother's Day, Kimba! I'm glad you're celebrating, and glad it's warming up. After an 84-degree high yesterday, it's only supposed to reach 70 here, so there goes my plan to wear sandals this morning. You have a lovely lot of romances in your haul this week. Happy reading! well, I decided the heck with it, and squeezed it in by staying up till 3am Friday night and I am so glad I did. My review will post the first week in June :) Happy Mother's Day Lisa! Happy Mother's Day! Enjoy your brunch and reading! Have a great week. we missed you, and yes to Bronze Gods! Cheers!!! *clink, clink* Happy Mother's Day!!! Enjoy your brunch and day of reading!!! I chuckle now when I see your new books, like Linda Miller, b/c the first thing I think of it, "Crap, now I've got to fit another of her books on the shelf!!" - I'm in charge of keeping paperback "M"'s in order (among others) and that lady has more Big Sky and McKettricks and blah, blah.... Her books get a serious workout and are always a mess!! 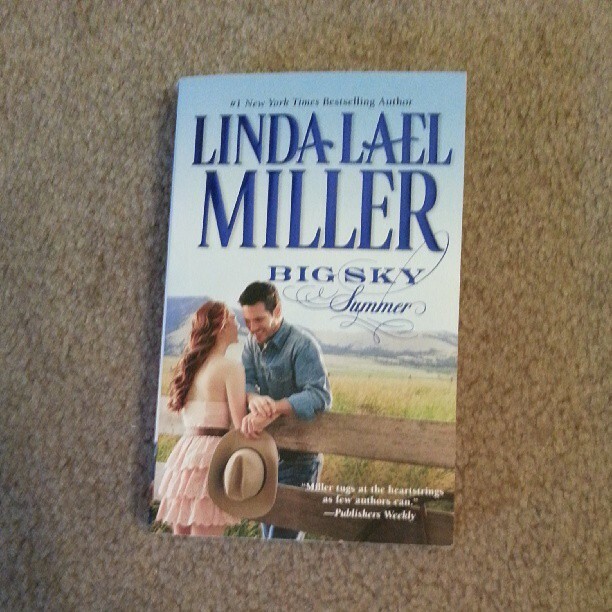 *raises a glass to you* Ha, Miller is a go to author when I need a cowboy fix and sweet romance. I really can't wait to read your review of Black City. I had to DNF it because I wasn't feeling it at the time, but I didn't hate it! Maybe I need a little push to go back to it, and hopefully I'll get it from your review. Happy Sunday and happy Mother's Day! Ya know Maja at first I wasn't sure if it was all romance..but I am glad I read it..I did like the world and have an arc of book two. Enjoy your day! Happy Mother's Day. Thanks Dru, hope you have a wonderful day too! Enjoy your champagne brunch, that's a lovely treat :) Looking forward to hearing more about Black Venus, love the cover. 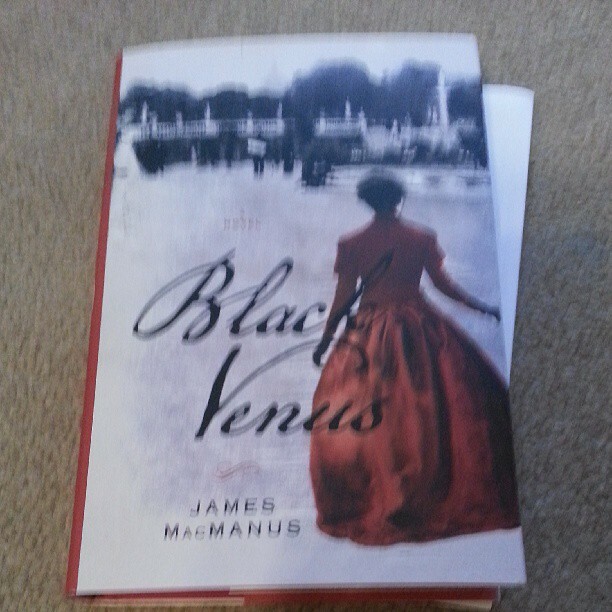 psst..Black Venus is a giveaway later today I have too many books scheduled at this time and agreed to host a giveaway! thank you my dear..enjoy your day! School first, and I hope you are out and ready to enjoy the summer! blame Anna@ Herding Cats cause she made me buy it with her review! Welcome Sabrina, I am off to breakfast, but will stop by later and visit your post! I hope you like True Kimberly!! I thought it was a fun read! Lovin the cover for Try Me....will have to check it out!! You are going to like Emi Gayle's series, it is fantastic! ooh I did love them, next week I review book two! Happy Mother's Day Ali! thanks Hannah I like her too! Happy Mother's Day...enjoy it and the week ahead! Happy Mother's Day Kimberly! I hope your kid's and Hubby make it a wonderful day for you! I'm so jealous that you got Black Venus and The Year of Luminous Love. 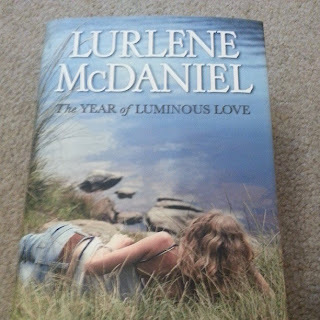 I've been reading Lurlene's novels since I was a kid! Enjoy your day and your new books!